Baron Fig has been the talk of the town recently. Shawn recently talked about his love for the dot grid Confidant. Brad discussed the standard Apprentice memo books. 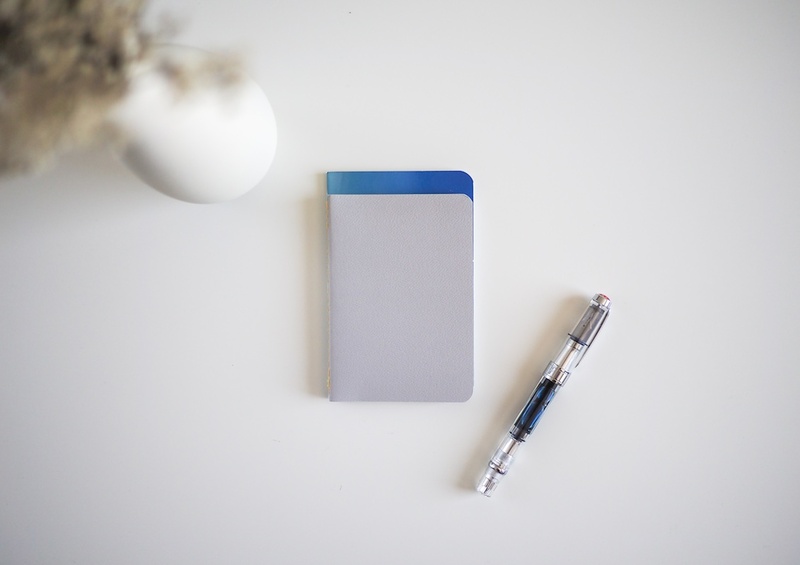 And Doug talked about the special, limited-edition notebooks released over the American-Thanksgiving weekend. 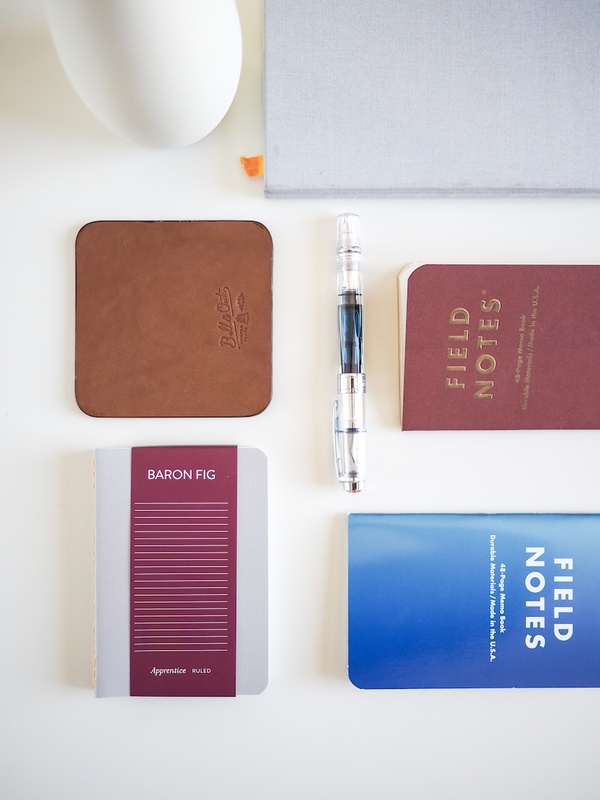 Needless to say, Baron Fig has been on a roll. I was sent the standard Apprentice memo book a little while back. Because of the size and paper differences from Field Notes, I wanted to give the Apprentice a bit more time under the gun. And so far, I’m fairly happy with what we’ve got here. 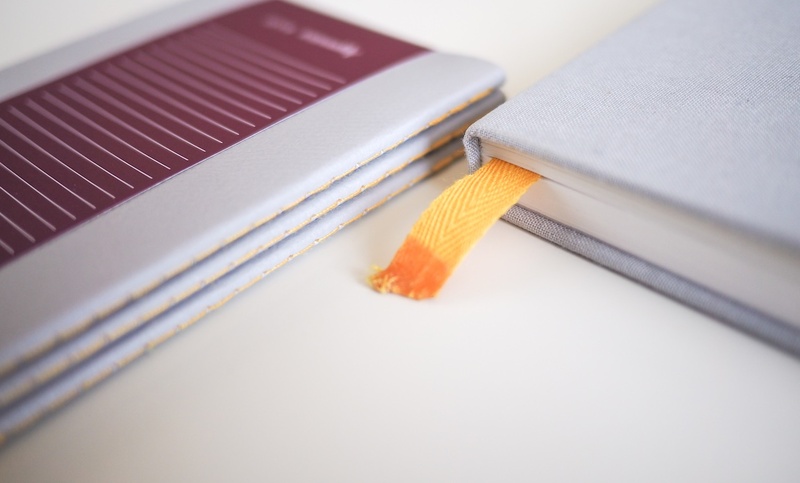 The Baron Fig Apprentice hits our hands thanks to a flood of customer requests. 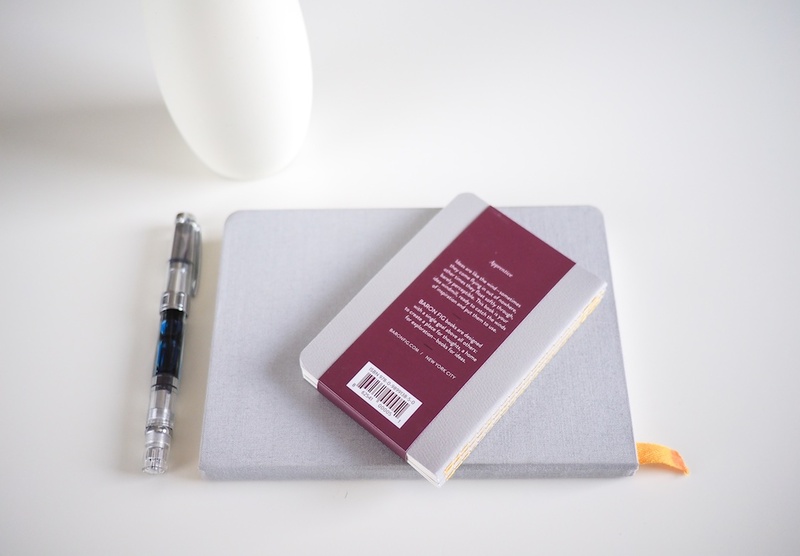 Baron Fig is known for their customer consideration, and the Apprentice was launched as a result. 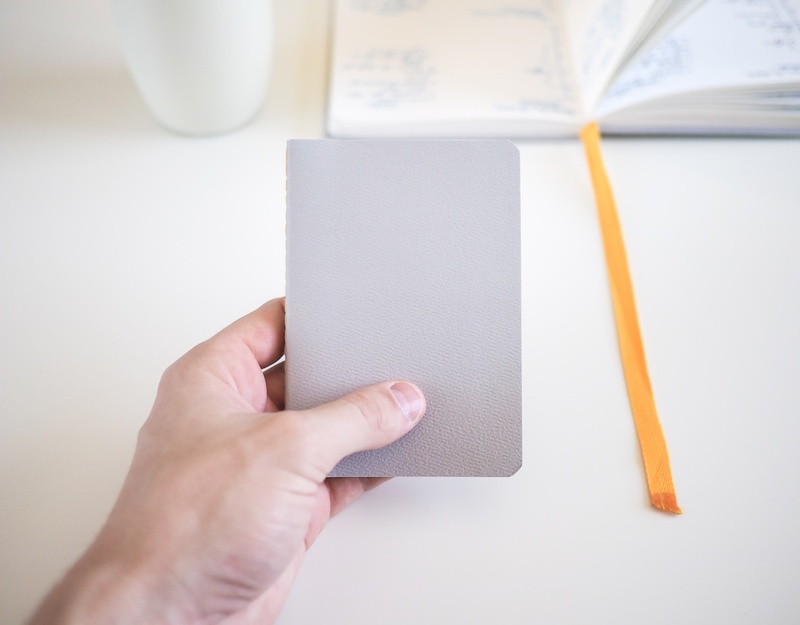 The Apprentice comes in a pack of three memo books with a vertical bellyband. Like the rest of the Apprentice book, the bellyband wraps the three-pack differently than competitors. There’s no added benefit to the vertical bellyband. It just stands out. This bellyband is your first indicator of the theme and character of the Apprentice. 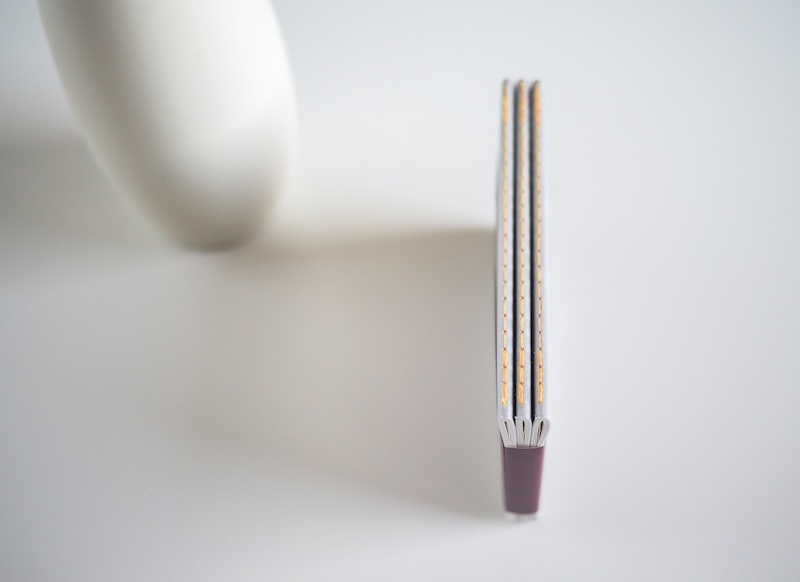 “Unique” and “different” become key terms when discussing Baron Fig’s latest offering. Removing the maroon bellyband reveals the uniquely textured front and back covers. The textured feel is very unique, although I don’t see added utility as a result. Instead, the textured covers continue to add to the Apprentice’s unique character. There’s nothing adorned on the front or back of these covers — all you get is a clean and classy book. Opening up the Apprentice, mind you, offers a bit more excitement. The inside cover has the same documentation square found in the Confidant. 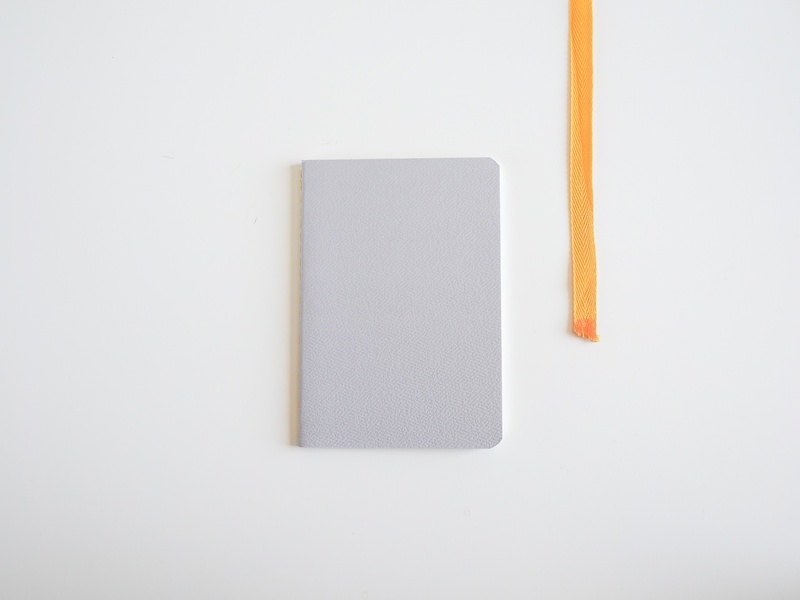 This isn’t as profound as what can be found in a Field Notes, but there’s more room here to be creative with your title page. The Apprentice’s back inside cover outlines the specifics of the book. Not a whole lot to write home about, but the unique, classy trend is continued from front to back. When the Apprentice was first announced, Baron Fig fielded a few questions regarding the paper in the book. They stated outright that the paper was the same great stock found in the Confidant. I’ve had a lot of luck with the Confidant’s paper. I only use fountain pens in my Confidant and I have no bleedthrough or showthrough whatsoever. The paper holds ink well and it has left me wishing I had a second Confidant lying around to practice my handwriting. The Apprentice’s 48 pages don’t appear to have the exact same characteristics as the Confidant’s paper though. I was sent a ruled three-pack and the first thing I did after breaking the seal was apply some fountain pen ink to the first page. While my simple handwriting test proved to fair much better than past Field Notes tests, the ink did show through a bit on the Apprentice’s second page. 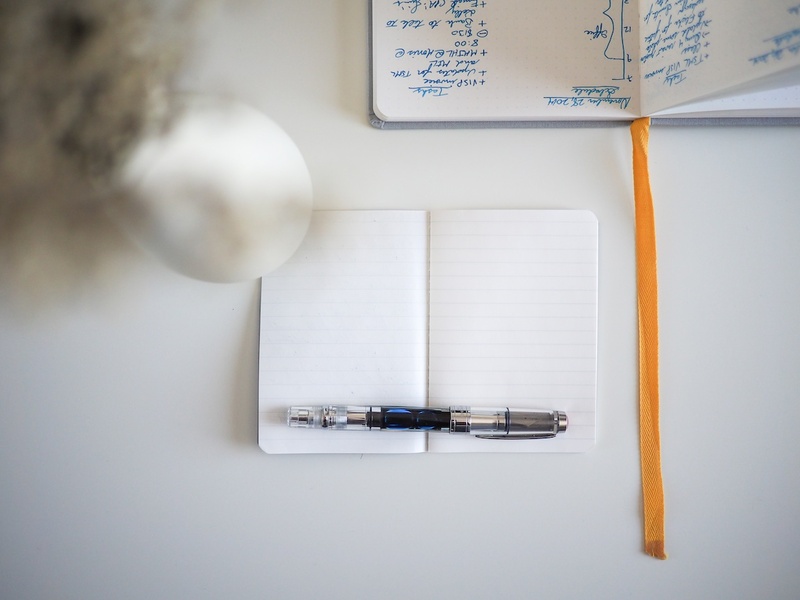 There isn’t enough showthrough to put aside your fountain pens entirely, but the same performance does not appear to transfer from Confidant to Apprentice. 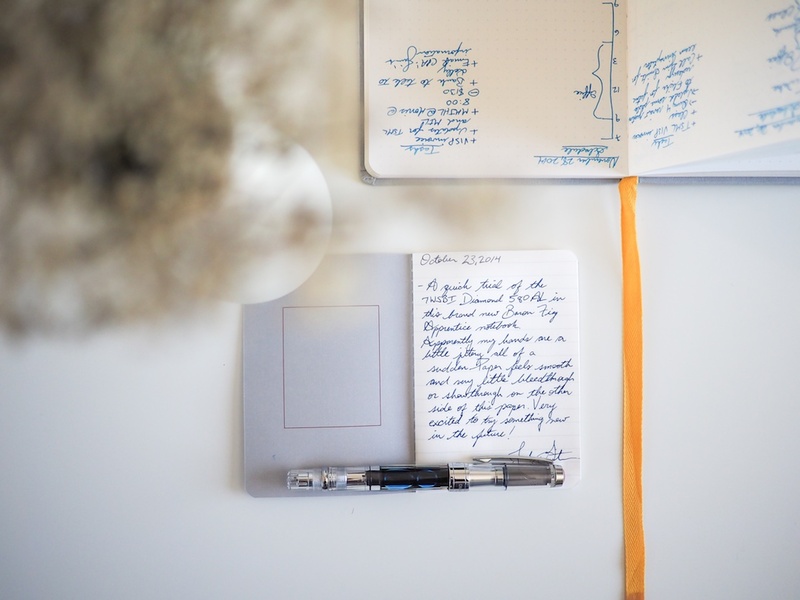 The long and short: the Apprentice’s inside paper is better for fountain pens than any Field Notes paper I’ve tried, but it still doesn’t live up to the Confidant’s standards. For me, that’s still a win for the Apprentice. Staying true to the “unique” and “different” mentality, the Apprentice shoots for absolute differentiation in terms of size. 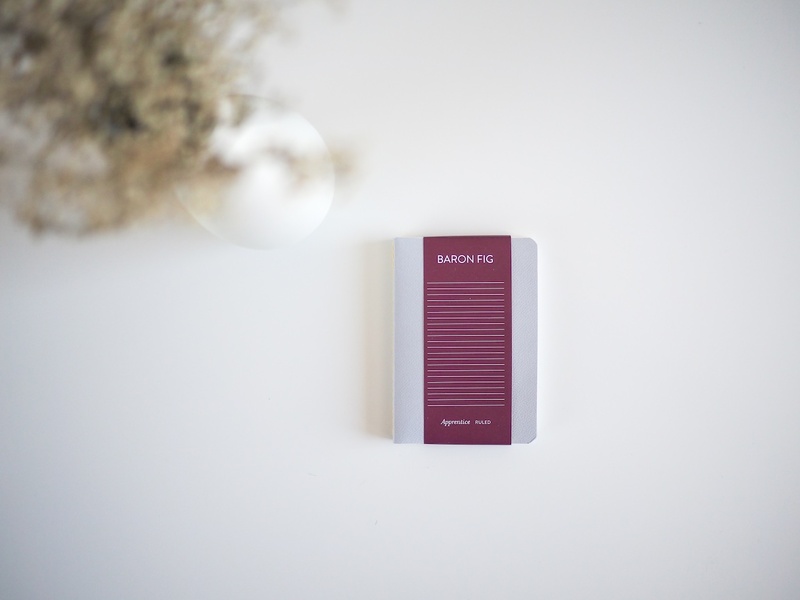 The Baron Fig team believed the classic 3 1/2” by 5 1/2” memo book size wasn’t quite right for every day use. So they slimmed down the vertical height of the Apprentice. As a result, the books fit a bit nicer in a front shirt pocket or a back jeans pocket. But I’m not sold on the size overall. 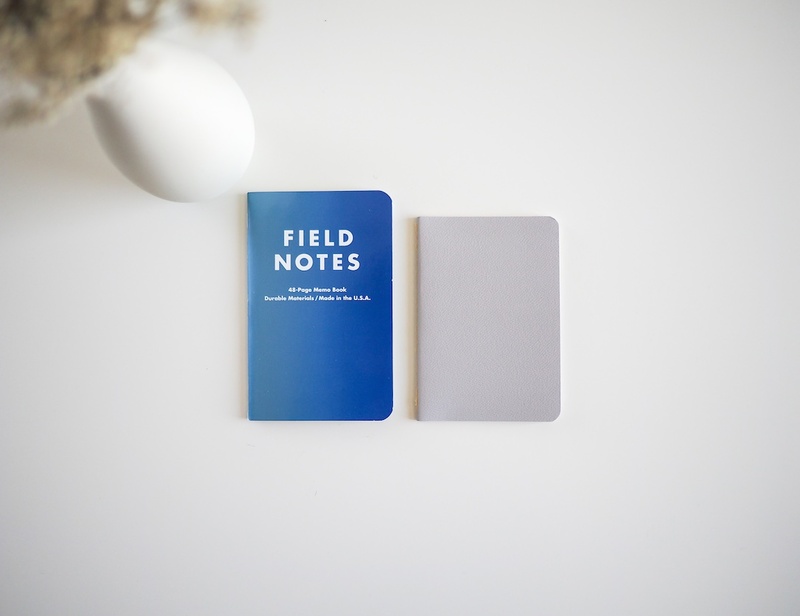 I’ve never felt Field Notes were too big to carry or to stick in a pocket. So, in reality, the added benefit of a more compact memo book is quickly overrun by the shortened writing space. 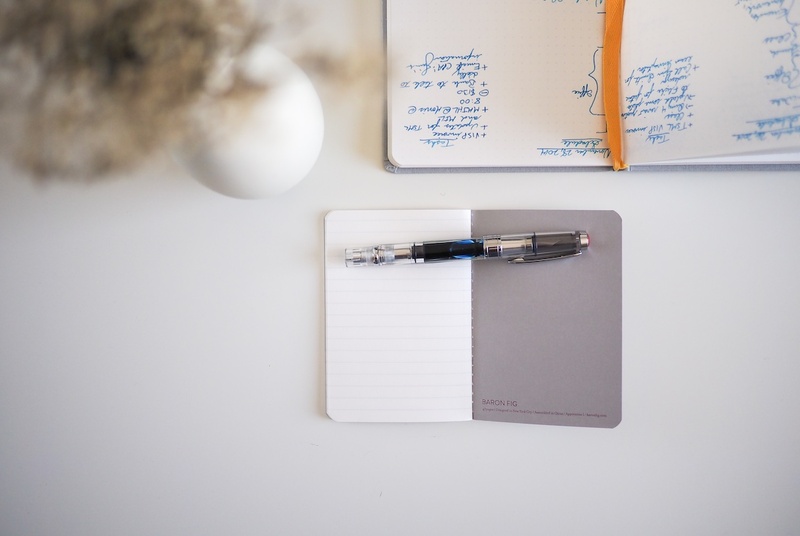 By shrinking the vertical height, there are less lines per page for writing. I can’t help but feel slightly claustrophobic when writing in the Apprentice, especially when I’m at my desk and want room to spread out. Sometimes thinking outside the box of a very standardized product yields a new and exciting venture. The Apprentice does a fair job in setting itself apart from its competitors and maintaining that classic analog feel. 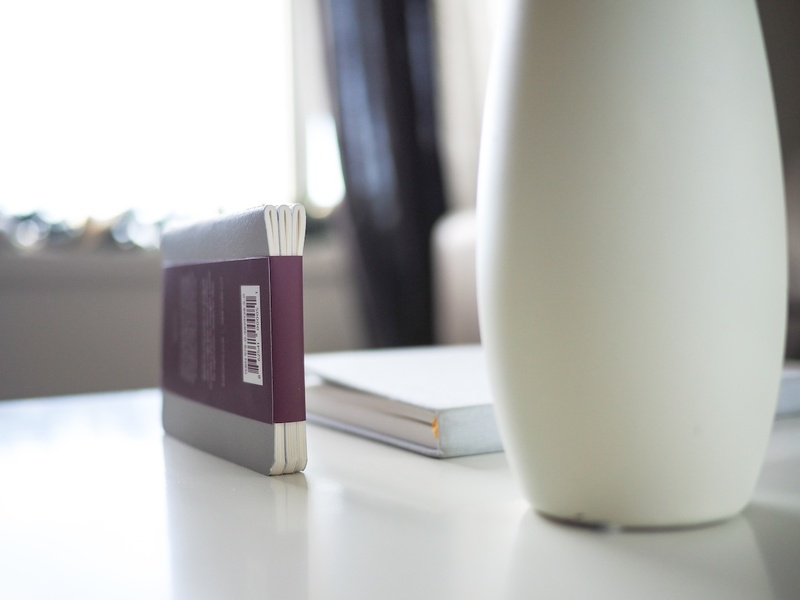 The chique yellow binding and grey textured covers are a nice contrast to Field Notes Brand’s Colors editions. 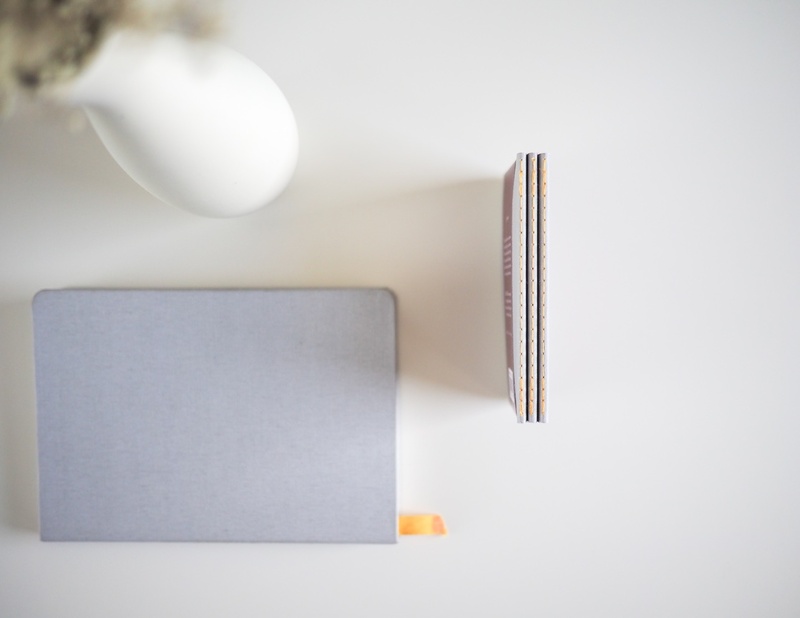 The inside covers also reflect Baron Fig’s approach to minimalism and creativity. The Apprentice’s inside paper stands loud and proud. I love that I now have a memo book that can handle fountain pens properly. No matter how much I wanted to admit the 70 lb. paper in Shelterwood was fountain pen friendly, I can now see that the Apprentice raises the bar for fountain pen friendly memo books. And the smaller size? Well, it’s not my favourite, but I can see why Baron Fig decided to try something new. Differentiation is a cool thing, especially when it works. And with the Apprentice, it doesn’t not work. What I’m trying to say is, I think you’ll like it. While you’re trying it out, you should pick up some Cyber Monday limited edition Apprentice three-packs. I can’t see these being around for much longer.